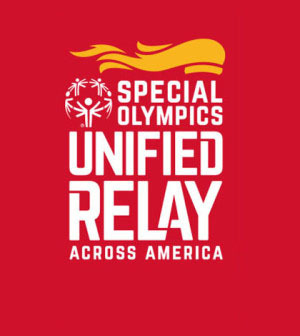 Special Olympics Unified Relay Across America Celebration coming through Milford, Connecticut! The Special Olympics Unified Relay Across America is a historic event with three simultaneous torch runs, held from East Coast to West Coast, to kickoff the Special Olympics World Games in Los Angeles, California. Please join in Milford’s celebration of the Unified Relay as the torch passes through Milford! Saturday, May 30 Milford Green Gazebo 11:00 a.m. – 1:00 p.m. The event will feature a celebration of all Milford’s Special Olympics programs including school-based Unified Sports and adult programs. Join us for an awards ceremony, face painting, field games, and to cheer on the Milford relay team as they carry the torch through Milford! With 7,000 athletes and 3,000 coaches representing 177 countries, along with 30,000 volunteers and over 500,000 spectators, the 2015 Special Olympics World Games (July 25-August 2) will be the single biggest event in Los Angeles since the 1984 Olympic Games. ESPN will broadcast the Opening Ceremonies live on July 25! To check out their official website, click here. To follow them on Facebook, check out their page here and leave a “Like”. This entry was posted in News and Events and tagged City of Milford, Connecticut., Milford, Special Olympics, Special Olympics Unified Relay Across America, Unified Sports. Bookmark the permalink.